Spending a whole day in the world of Cadbury chocolates could be anyone’s dream; it was most certainly mine! 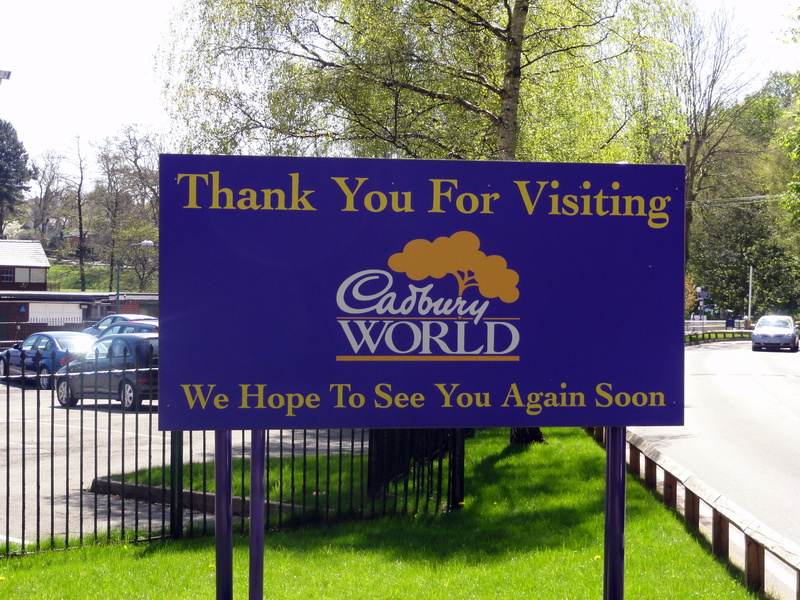 Well, this did come true for me when we visited “Cadbury World” during our visit to Birmingham. One of the major leisure attractions of Birmingham, UK, this place is universally loved by children and alike. 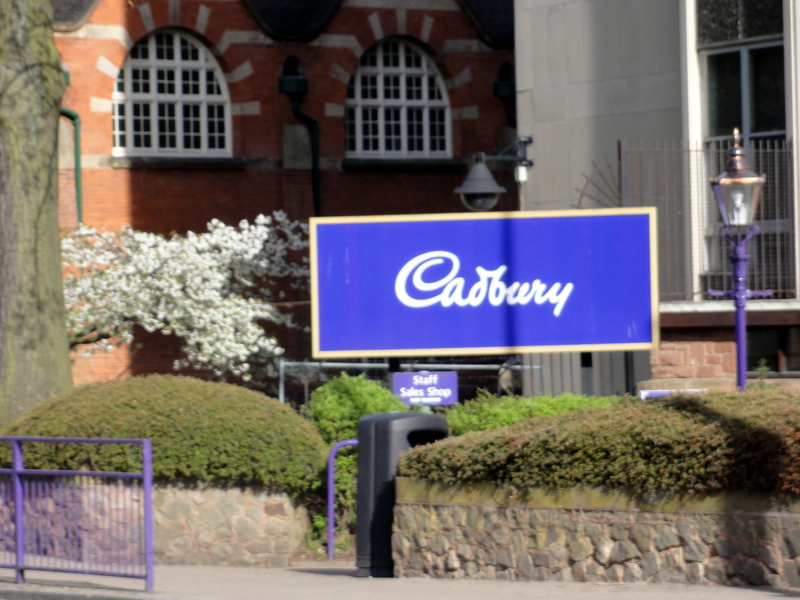 As we alighted the West midland station of Bournville, there were signboards all over indicating that Cadbury world was around the corner. 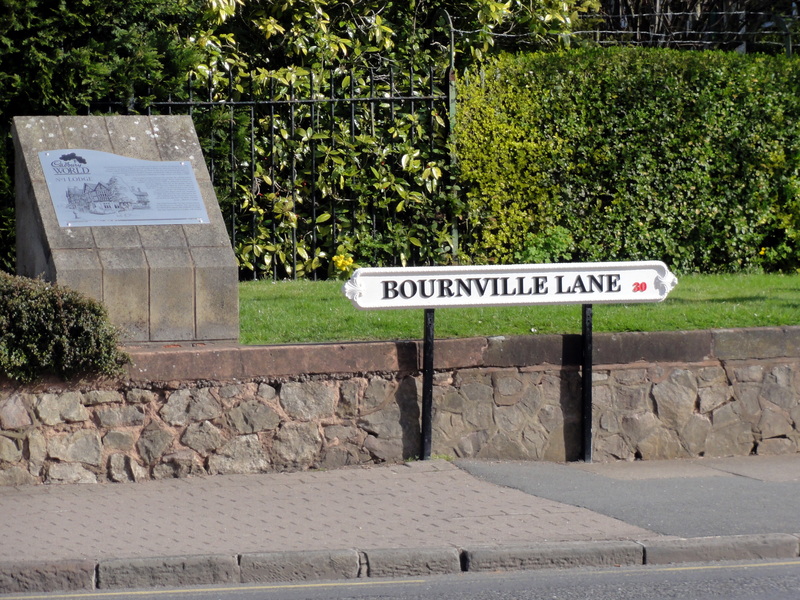 Cadbury’s permeates almost every aspect of life in Bournville. All boards, railings and barricades leading to the place are in the trademark “Cadbury dairy milk purple” colour. The town itself gets the name from the “Bourn Brook” with “ville” being French for town added. It was apparently fashionable in those times to consider all confectionery as French! Sprawling well manicured lawns lead to the entrance of this amazing place that opened in 1990. While it is not a factory tour, the place is a store house of information on chocolate and is designed as a one-way self-guided tour. One can discover the origins of chocolate by taking a “tour” around the cocoa tress that grow in dense tropical rain forests of South America. Varieties of beans and their transformation into mouth watering chocolate is also depicted. 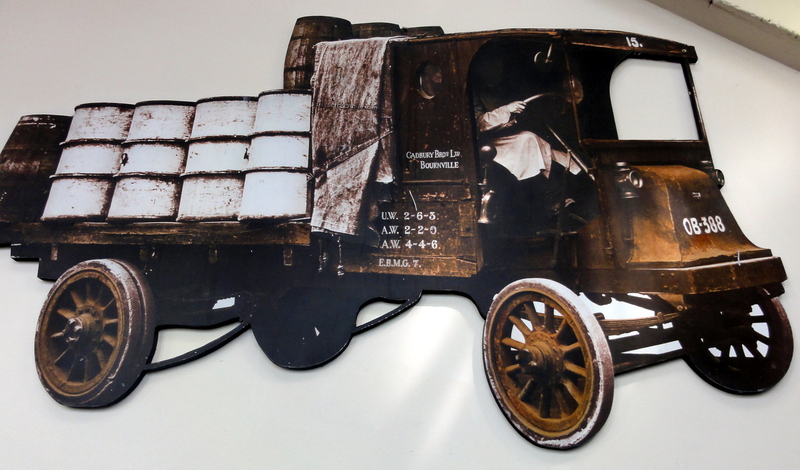 The history of Cadbury and its journey from a small store selling tea, coffee and drinking chocolate in Bull Street in Birmingham to the world’s second largest confectionery brand is captured. There are great pictures, short movies that depict facts, trivia and much more. 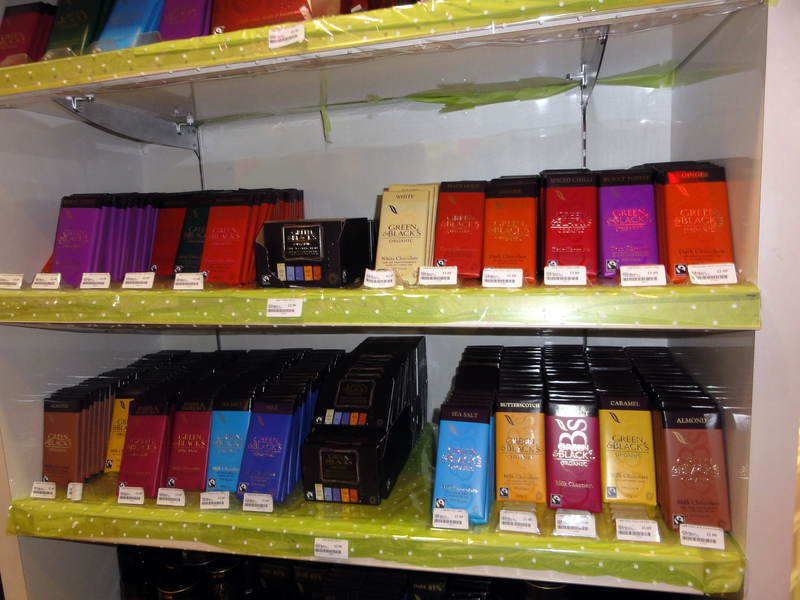 One can also view the packaging section and also witness interesting articles and models made of pure chocolate. 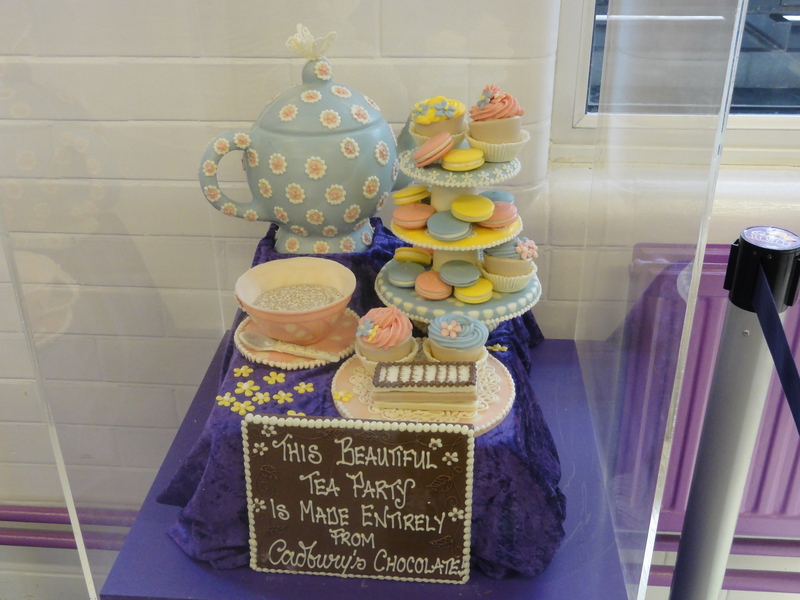 We could see staff creating personalized plaques, shoes with intricate designs and even tea sets of pure chocolate! 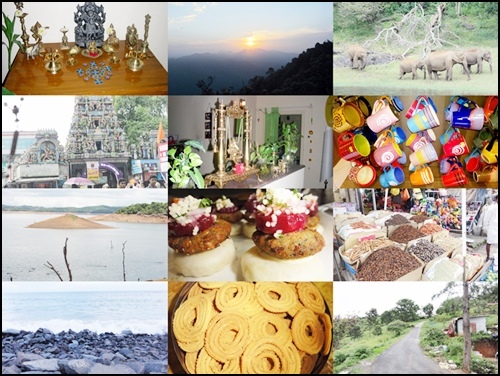 The entire place is a fun family outing with interesting quizzes for the children, treasure hunts and small freebies. You could indulge in small glasses of lip smacking liquid chocolate and also write your name and doodle using a chocolate cone! The best part for me was the “Cadabara” ride that is loads of fun with surprises galore. Do not miss this one! 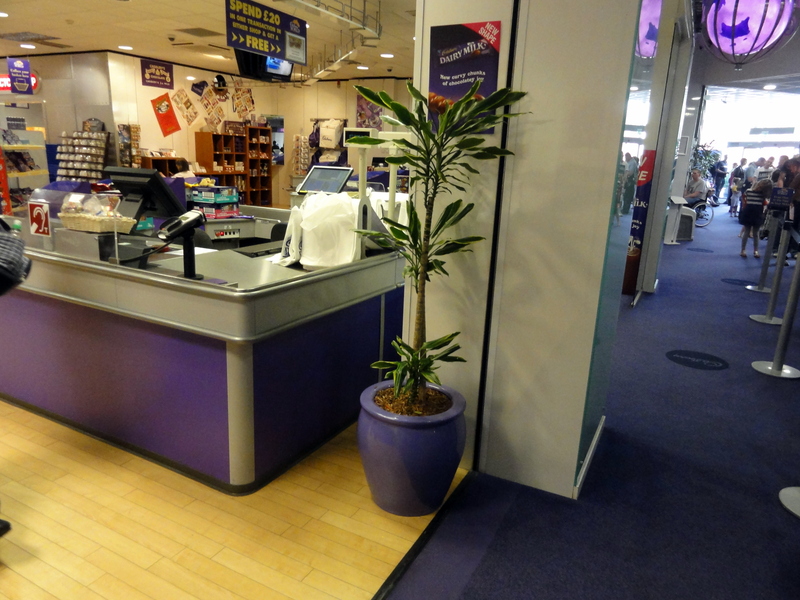 There is a restaurant where you can grab a quick meal and rejuvenate yourself to shop at the world’s biggest Cadbury shop housed in the attraction. 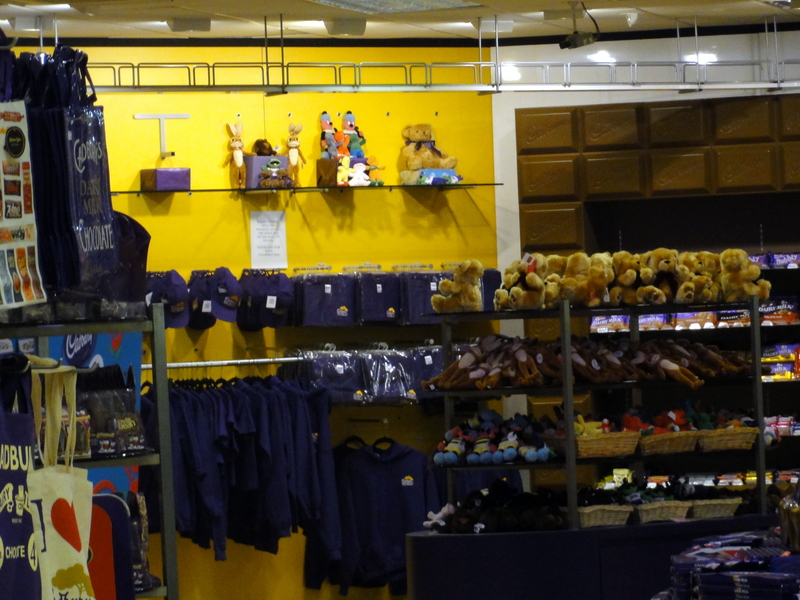 The shop itself is a haven for chocolate lovers where you can pick up all varieties of Cadbury chocolate, souvenirs, gifts and knick knacks. Cadbury world is easily accessible by road and rail from Birmingham. Their official website has all the details. The place for me was the most memorable part of my visit to the vibrant city of Birmingham and I would definitely love to visit again!! I just loved this post, Rashmi. 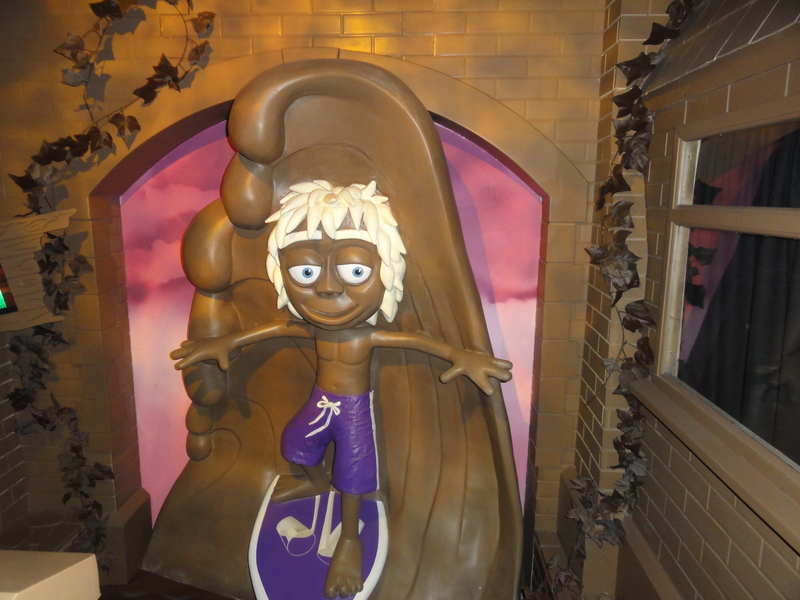 I am a fan of chocolates, and what better than to be at Cadbury’s premises (or see them via visual tours like here)! 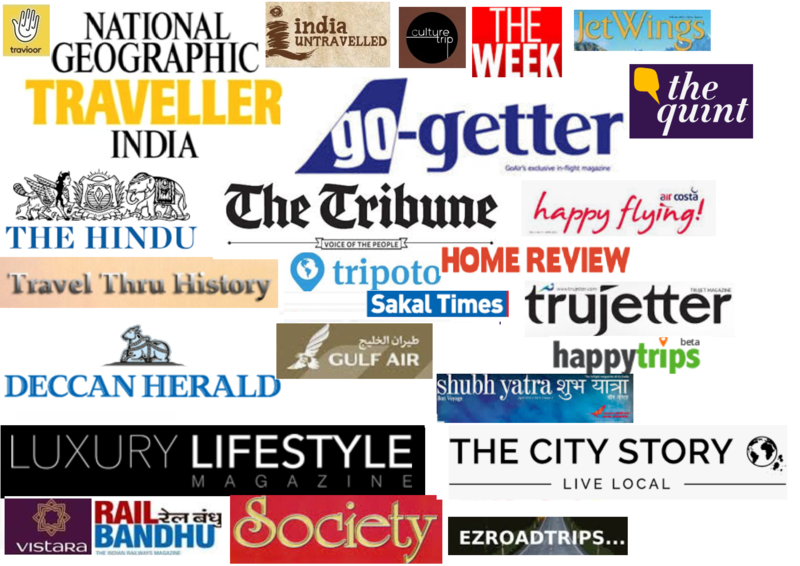 Thanks a lot Alok:) You must visit; it is worth it every minute! 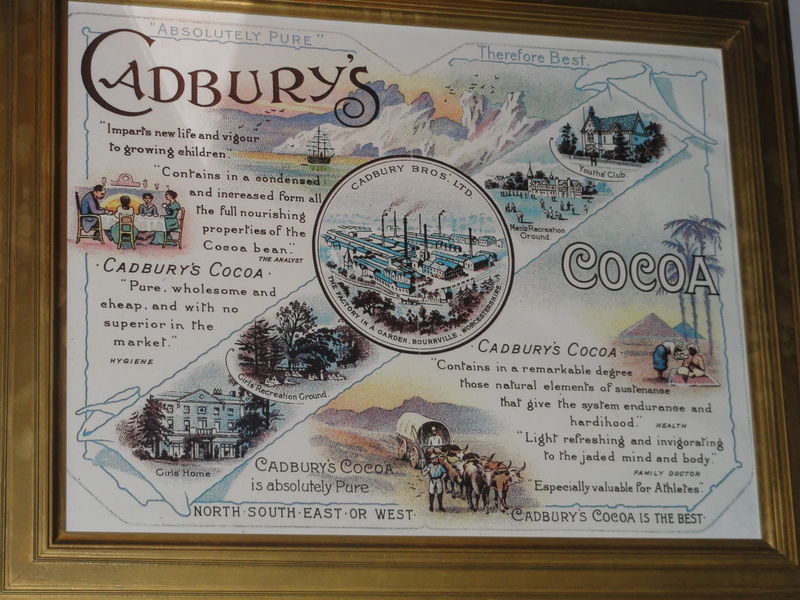 I love chocolate….must book train ticket to Birmingham…and hopefully not get thrown out of Cadbury World for eating everything in sight there haha….a very detailed and interesting account of your trip there, Rashmi, I really enjoyed reading through this. That would be a nice place to visit. Yes it is Arun; great place to indulge the child in you! Wow! I would like to be there some day! Am sure you would Indrani; it is a great place. I would really want to visit this place someday! 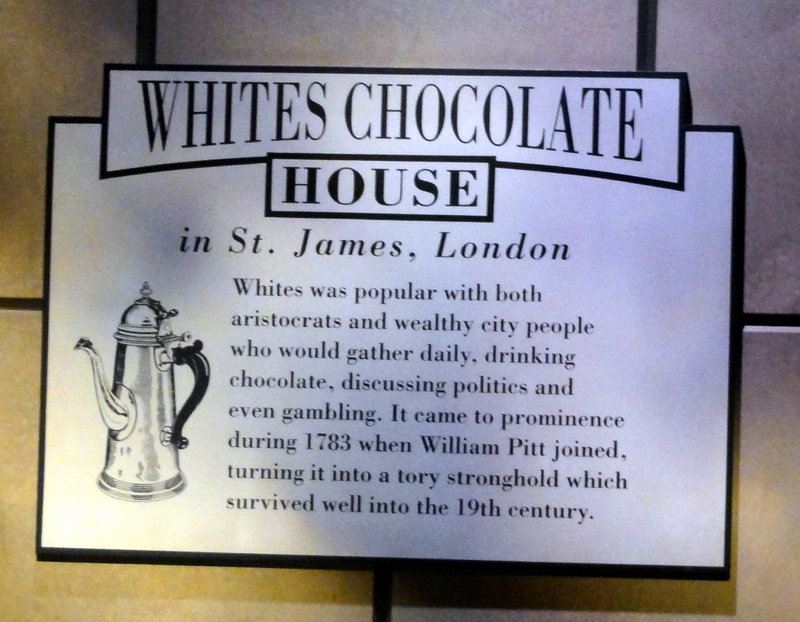 Would love to visit at some point, and obviously eat some chocolate.